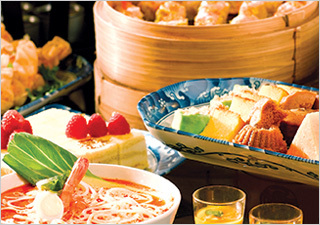 Subscribe to get deals from hundreds of merchants including the best of Town Restaurant, The Fullerton Hotel Singapore! Offer not valid for Sunday Brunch. Promotion is valid from 15 January to 31 December 2019.. Payment must be charged to a Citibank Credit/Debit Card to enjoy the promotion.. Promotion is not valid with other promotions, discount cards, promotional vouchers and in-house offer discount cards.. Promotion is valid for a maximum of 8 pax per bill.. Promotion is not valid on the eve of and on public holidays as well as special occasions such as 15 days of CNY in Jade Restaurant, Valentine's Day, Easter weekend, Mother's Day weekend, Father's Day weekend, F1 weekend and Thanksgiving Day and may include others as determined by the Merchant, unless stated otherwise.. Prior dining reservations are encouraged and is subject to availability.. For dining reservations or enquiries, please call (65) 6877 8911/12 or email dining-rsvp@fullertonhotel.com.. Citibank's and The Fullerton Hotel Singapore's decision on all matters relating to the Promotion will be determined at its reasonable discretion and is final and binding on all participants.. Citibank shall not be responsible for the quality, merchantability or the fitness for any purpose or any other aspect of the products and/or services provided by third parties and Citibank shall not at any time be responsible or held liable for any loss, injury, damage or harm suffered by or in connection with the products and/or services provided by third parties. All disputes about quality or performance of the product and/or services shall be resolved directly with The Fullerton Hotel Singapore.. Citibank and The Fullerton Hotel Singapore reserve the right, at their reasonable discretion, to vary, add to or delete the Promotion terms and/or terminate the Promotion at any time.. "Citibank" refers to Citibank Singapore Limited and "Jade Restaurant", "Town Restaurant", "Post Bar", "The Courtyard", and "The Lighthouse Restaurant and Rooftop Bar" refer to Hotel Properties Limited, currently trading as The Fullerton Hotel Singapore.. Please always check with the merchant on the validity of the promotion before purchase. Promotion Period: 02/10/2018 to 30/12/2019. Valid for a max of 8 customers per bill.. Not valid for Sunday Brunch.. Prior reservation is required, subject to availability.. Offer is not valid on eve of and on public holidays and special occasions such as Valentine’s Day, 15 days of Chinese New Year (at Jade only), Easter Weekend, Mother’s Day, Father’s Day, F1 Weekend and Thanksgiving, and may include other blackout dates determined by the merchant, unless stated otherwise.. Not valid with any other ongoing / in-house promotions, vouchers and/or discounts, or on eve of and on public holidays, unless otherwise stated.. The hotel reserves the right to vary and amend any of the T&Cs without prior notice.. DBS General Promotions Terms & Conditions apply, visit www.dbs.com.sg/dbscardstnc.. Please always check with the merchant on the validity of the promotion before purchase. Payment must be made with a HSBC credit card. The Offers are valid for dine-in only, unless stated otherwise. Reservations are required and up to a maximum of 8 persons per reservation. Please quote “HSBC Dining Privileges“ when making a booking. Merchant terms and conditions apply. The promotion is not valid in conjunction with other promotions, privileges and vouchers. Not valid on eves of public holidays and on public holidays as well as special occasions such as Valentine’s Day, Easter weekend, Mother’s Day weekend, Father’s Day weekend, F1 weekend, and Thanksgiving. HSBC reserves the right to vary the terms and conditions or this promotion or change or withdraw this promotion at any time without prior notice. In case of dispute, the Bank’s decision is final. A customer who holds a HSBC credit card (except HSBC USD card, HSBC Corporate card, and HSBC Debit card) issued by HSBC Bank (Singapore) Limited (“HSBC”) in Singapore (such HSBC credit card, a “Card”) as a credit cardholder and whose credit card account is in good standing with HSBC over the entire Promotional Period (as defined below) and at the time of fulfilment (as determined by HSBC at its discretion) and who fulfils these terms and conditions (such customer, a “Cardholder”) shall be eligible to participate in the promotion (“Promotion”). Other terms and conditions apply, please refer to the merchant for more details. HSBC is not the supplier of and accepts no liability for the goods and services provided by the Merchant involved in this Promotion. The Merchant and HSBC reserve the right to vary any of these terms and conditions, or to withdraw this Promotion, at any time in their discretion without prior notice. All information is accurate as at time of publishing or posting online.. Please always check with the merchant on the validity of the promotion before purchase. Payment must be made with a HSBC credit card. The Offers are valid for dine-in only, unless stated otherwise. Reservations are required and up to a maximum of 8 persons per reservation. Please quote “HSBC Dining Privileges“ when making a booking. Merchant terms and conditions apply. The promotion is not valid in conjunction with other promotions, privileges and vouchers. Not valid on eves of public holidays and on public holidays as well as special occasions such as Valentine’s Day, Easter weekend, Mother’s Day weekend, Father’s Day weekend, F1 weekend, and Thanksgiving. HSBC reserves the right to vary the terms and conditions or this promotion or change or withdraw this promotion at any time without prior notice. In case of dispute, the Bank’s decision is final. A customer who holds a HSBC credit card (except HSBC USD card, HSBC Corporate card, and HSBC Debit card) issued by HSBC Bank (Singapore) Limited (“HSBC”) in Singapore (such HSBC credit card, a “Card”) as a credit cardholder and whose credit card account is in good standing with HSBC over the entire Promotional Period (as defined below) and at the time of fulfilment (as determined by HSBC at its discretion) and who fulfils these terms and conditions (such customer, a “Cardholder”) shall be eligible to participate in the promotion (“Promotion”). Other terms and conditions apply, please refer to the merchant for more details. HSBC is not the supplier of and accepts no liability for the goods and services provided by the Merchant involved in this Promotion. The Merchant and HSBC reserve the right to vary any of these terms and conditions, or to withdraw this Promotion, at any time in their discretion without prior notice. All information is accurate as at time of publishing or posting online. Valid till 31 December 2018. Valid for a maximum of 8 customers per bill. Not valid for Sunday Brunch. Offer is not valid on eve of and on public holidays and festive seasons. Subject to black-out dates determined from time-to-time. Please check with the restaurant for details. Maybank TREATS General Terms and Conditions apply (PDF). Please always check with the merchant on the validity of the promotion before purchase. Town Restaurant is a hotel restaurant situated inside The Fullerton Hotel, Singapore which is famously known for its exquisite dishes and luscious cuisine. The restaurant’s sophisticated interior design complemented with Singaporean ambiance creates a perfect atmosphere for everyone looking for a home away from home getaway experience. Rest assured you can never go wrong with Town Restaurant. Not only Town Restaurant is known for its Singaporean favourites, but it also keeps people coming back for their extensive dishes of refined international deals. This restaurant takes pride in its scrumptious selection of Western and Oriental cuisine featuring famous dishes of America, Japan, China, Korea and much more. Homesick foreigners will get to experience home again by devouring international favourites, which the restaurant has to offer. It also gives people with sweet cravings a wide selection of international delectable desserts that they can binge with. They offer Japanese, Chinese, Korean and Thai sweets and desserts as well as Western favorites. Add that with one of their promos – the choose-your-own-ice-cream-toppings and ice-kachang station, this restaurant can literally explode your taste buds into satisfaction! From international buffets to sweet delicacies, this restaurant was able to put together various courses to come up with a modern restaurant that everyone will fancy. It is no surprise that the restaurant is always an all time favourite not only to the locals of Singapore but also to travelers. Success is one thing that defines this restaurant. Town Restaurant has become one of the most famous restaurants across the city of Singapore. Having a wide selection of enticing and palatable dishes, they never fail to make their customers walk out really satisfied. If you think that is all that this restaurant has to offer, you are missing a thing. They also have this newly revamped al fresco waterfront terrace that charms people for a high tea buffet or after-work drinks. Watch the sunset while sharing a meal with your significant other. By the night arrives, the restaurant will have transformed into a dreamy romantic place just like in the movies. The right place and atmosphere are the correct formula to inspire one of the most unforgettable experiences you and your partner could ever have. Only in Town Restaurant can you find a haven amidst the anxieties from the bustling city of Singapore. Chill with your friends or loved ones and let the calm waves of Singapore River lull you into bliss. This restaurant opens daily from 6:30 am to 11 pm. They serve international buffet lunch on Monday to Friday every 11:30 am to 2:30 pm; themed buffet dinner is served daily every 6:30 to 10:30 pm; Singapore high tea buffet is served on Saturdays and Public Holidays every 12:00 to 3:30 pm; and Sunday Champagne Brunch Offers can be availed from 12:00 to 3:30 pm. Town Restaurant is located at 1 Fullerton Square, The Fullerton Hotel Singapore, Singapore. For reservations, please call (65) 6877 8911 / 8912. To know more about Town Restaurant, The Fullerton Hotel, visit their website.